Murder on the Orient Express is certainly the most famous Agatha Christie novel, the story is beautifully crafted murder mystery which definitely ranks among the top of the Agatha Christie murder mysteries. The death has occurred in a manner that will implicate one of the twelve passengers of Orient Express and the murderer is in train because due to snow drift, the train has stopped when murder took place. Having nothing to do in train and being experienced in solving similar crimes, Hercule Poirot takes the case. He interviews all the twelve passengers one by one. interestingly all the suspects have the cast-iron alibis. As no one boarded the train and no on left the train and everyone have cast-iron alibis – the case seems impossible to solve, until Hercule Poirot uses his little grey cells to solve once more the seemingly insoluble murder mystery. Mrs Christie makes an improbable tale very real, and keeps her readers enthralled and guessing to the end. 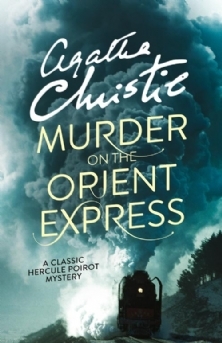 Murder On The Orient Express is not like any other Agatha Christie books, the plot is ingeniously crafted, character development awesome and this book is filled with lots of twists and turns which will keep readers on the edge of their seats. The train setting is great, suspects are limited, reader will be given all the facts and evidence and everything you need to solve a murder mystery – you just has to sit and think. Even though you sit and think for hours, I am sure you won’t guess who the murder is! And Then There Were None is a detective fiction novel by Agatha Christie, first published in the United Kingdom by the Collins Crime Club on 6 November 1939 under the title Ten Little Niggers. The title was changed in the United States by Dodd, Mead and Company in January 1940 to Ten Little Indians, as the original title, which originally derived from antiquated English terminology, is considered racist by modern standards. I usually don’t read too many suspense novels, specially involving murder mysteries, so far I only read Sherlock Holmes novels and loved them all. This is my first Agatha Christie book and I kind of liked her way of creating the tense scenarios but in this book, there are so many things which I felt very hard to believe, for example – The butler still prepared breakfast after the murders (even after murder of his wife), as if there’s nothing particularly unusual happened? 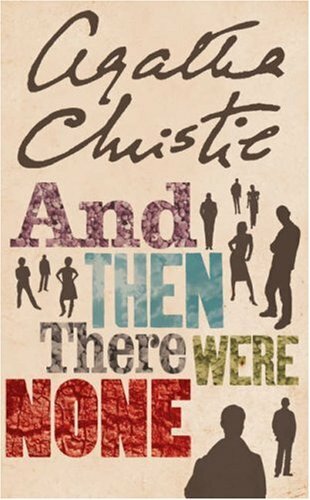 And There Were None is an interesting story about the ten strangers with questionable backgrounds gathered in a mansion in a remote island by mysteries guest. Every guest in their rooms find a poem about ten little Indian and how they (ten little Indian’s in poem) died one by one and then starts the murder’s as per the description given by poem. One more interesting part is ten little idol’s of Indians kept in kitchen, one by one they start to disappear as murder’s take place and also one more point – there were none in the island except these ten guests. there were too many character’s (ten) and it’s very hard to keep track of all of them, their background specially. and also few things in the book are not believable, one I already pointed out above, one more is – the ten stranger’s after each murder go to the sleep in their respective room’s with dead bodies all over the place (may be stinking) as if nothing unusual is happened?. One thing is for sure, you will never guess the murderer and if you do guess the murderer then you deserve some kind of award for sure.